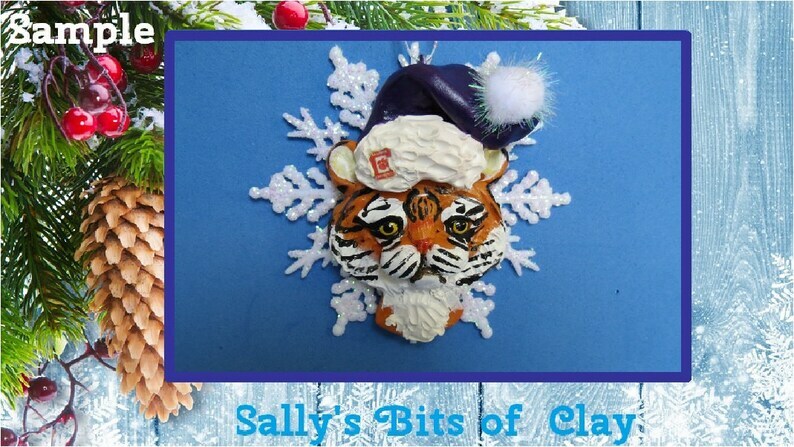 The Clemson Tiger Santa is hand sculpted by me with colored polymer clay. Some details are hand painted. It is attached to a poly snowflake. Total ornament measures approximately 3-1/2 X 4 inches. It is signed and dated by me and from a smoke free home. As always, if you have any questions or concerns, please send an inquiry through Etsy prior to making your purchase.